IMPORTANT: THIS IS NOT A SAFETY FALL PRODUCT. Corral No Go Zones during construction. Important: Material thickness. 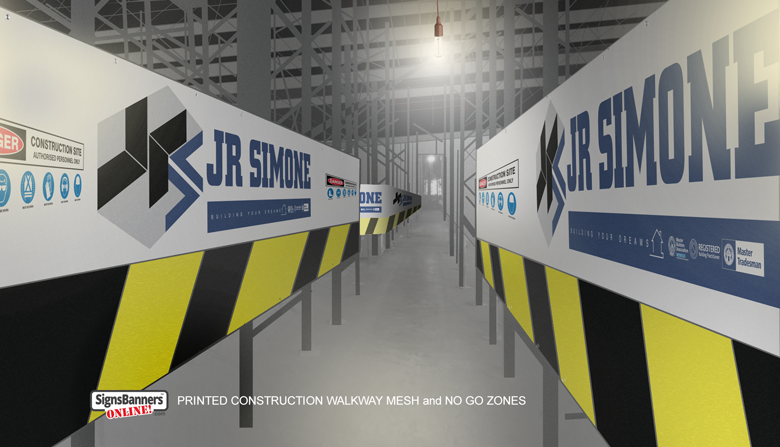 12oz Mesh Ideal for designated confined work areas, no go zones, walkway access and crowd control and penned authorised entry only areas. Corral/section off dangerous sections of your worksite during construction. Easy to install and move from position to position as your building grows. Use any graphics and logos. Popular for formwork (poorly lit areas) is white with bright text colors. Avoid dark black backgrounds. Note: For strength, we STILL traditionally hem all sides AND bead edge options offering triple reinforcement. Avoid downscale. Design FULL size. Standard Height Allows people to see over the top BUT not climb over. Important: Check structure dimensions pre-order. If production sizes vary from site to site > choose custom size. IMPORTANT: THIS IS NOT A SAFETY FALL PRODUCT. IT MUST NOT BE USED FOR PERSONAL PROTECTION. Formwork and Scaffold covers, printed screens and authorized entry only work areas. 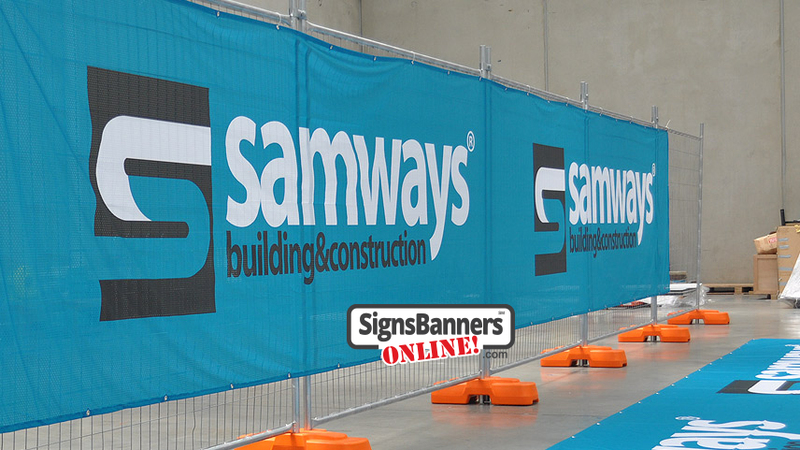 Use a temporary printed access screen mesh banner for great effect. Very cheap to buy and very portable. Move as your construction site building levels and floors grow. 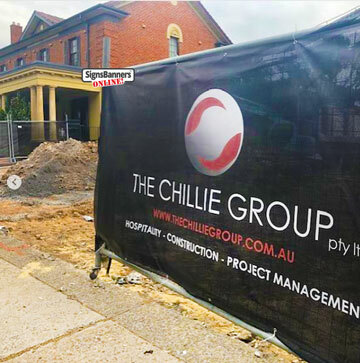 From this photo you can gain an idea of the skills and experience we offer our trade and advertising agency, sport management and building companies whom need signage that works.